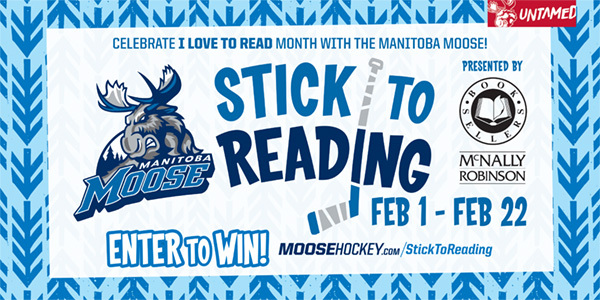 The Manitoba Moose Hockey Club is proud to announce Stick to Reading, presented by McNally Robinson Booksellers, is back for its fourth year as a part of I Love to Read month. Stick to Reading is a program designed to encourage and promote literacy to youth in our community. Students and teachers from local schools can enter their class for a chance to win a visit from Manitoba Moose players. During the visit, Moose players will read to and interact with students in their classroom. This contest is now closed. We will no longer be accepting any new submissions.